Managing your property becomes effective and simple once you find the right signage combination. 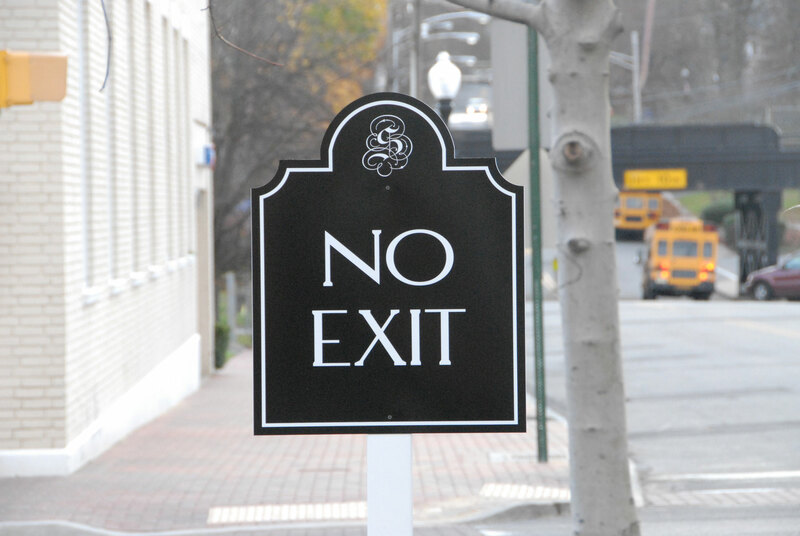 There are signs you must have for basic wayfinding and safety whether you run a strip mall with an array of storefronts, an apartment complex with adjacent parking lot, or an office building with several suites. Whatever your needs may be, The Sign Center has the experience to design, fabricate, and install top quality property management signs. Tenant Inserts and Panels – We produce durable panels that will take inserts that feature each of your building occupants’ names and suite numbers. This makes it easy to switch out information when you get new tenants or individuals change offices. And, you avoid ugly empty panels. ADA Compliant and Emergency Signs – You must meet the requirements set down in the Americans with Disabilities Act (ADA) with your interior signs. 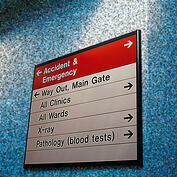 These signs must identify room designations and numbers and emergency exit routes. 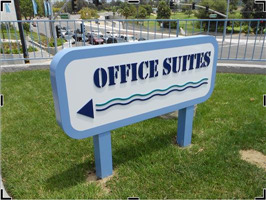 Amenity Signs – These are great for helping visitors to your building find items in a hurry. 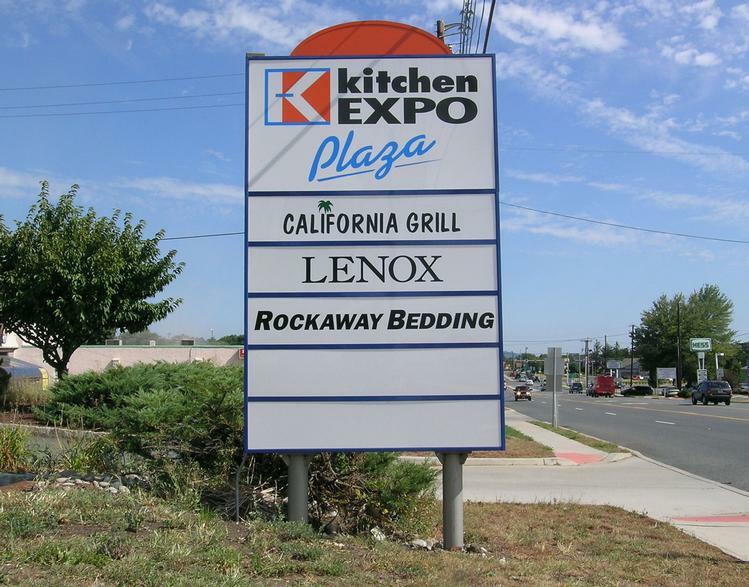 Some of our biggest clients for amenity signs are cafeterias, childcare centers, gyms, and more. Directories – Directories work great hanging by the stairs or in the vicinity of the building’s elevators. 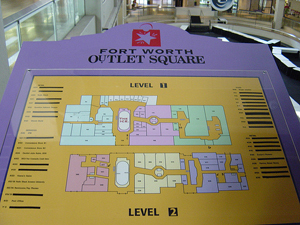 This helps visitors find the right floor and orient themselves. Some property managers have started listing primary individuals in doctor’s offices or firms on the directory in alphabetical order along with their room number to make them easier to find. 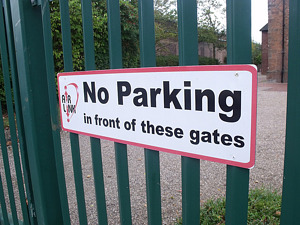 Monument Signs – Placed near the entry of your parking lot, monument signs are what people notice. If you allow storefronts to put up their own channel letter signs, this type of marker is especially important. The monument sign lets you announce the businesses that are renting space while identifying the property. Parking Signs – These are great, and often required, for identifying handicapped spots, fire lanes, and patient parking. You can post no parking signs in spots where emergency vehicles need to go in addition to posting speed limits. Channel Letter Signs – When most people think of building signs, they think of channel letters. On the side of the façade, you can advertise your property’s name with channel letter signs. To make your office building easier to find, it is a smart idea to put your address in illuminated channel letters. You may also want to allow tenants to put their own channel letter signs over their storefronts. The options are virtually endless with property management signs. 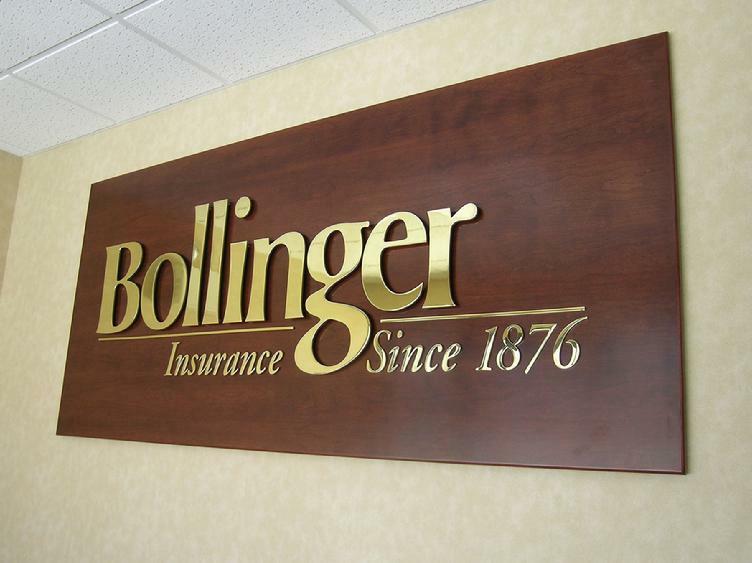 The Sign Center is able to customize all of your signage to including your company’s logo, name, and colors. This is a must for building brand awareness. 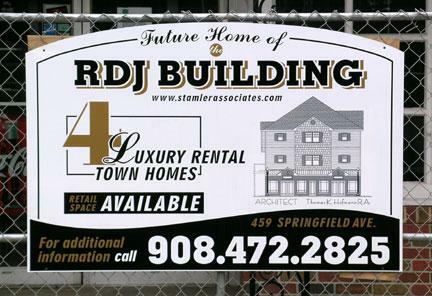 The Sign Center proudly serves the Stirling, Wachung, Berkeley Heights, Millington, New Providence, and Plainfield communities along with the rest of North Jersey. Contact us today for a free consultation and quote and get started on your sign order. 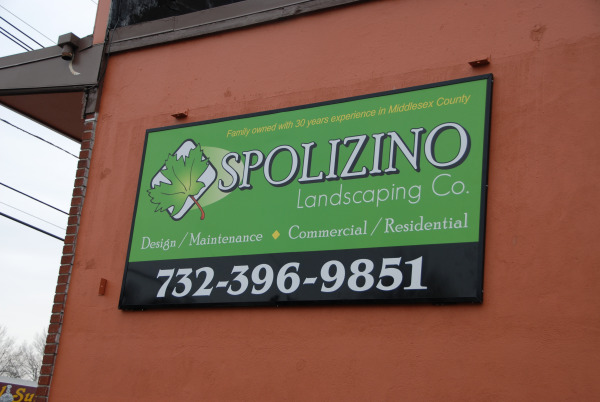 The Sign Center is a custom sign company who will design, fabricate, secure township approvals for what ever signage needs you will have.